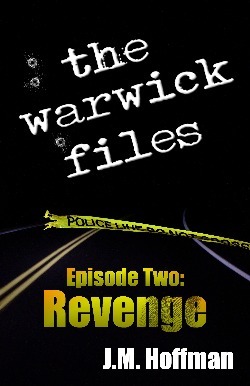 In “Revenge,” a woman breaks off an affair with the governor, pitting Police Chief Kai Goodman against the State Police. Like the first story, “Revenge” features Coyote “Kai” Goodman, whose past is so secret that even his cover story is classified. The setting is Warwick, NY, where, according to the official count, there are no spies. The story is available in paperback for $3.95, and, like most short stories, for only $0.99 on Kindle. Or start reading the story for no-charge on-line. To celebrate this release, the Kindle edition of “Checkpoint” — the first story in the series — is a free download, but only today. I hope you enjoy reading “Revenge” it as much as I enjoyed writing it.